The trend of employees bringing in their own mobile devices to the office and using them for work purposes (BYOD) is growing rapidly. 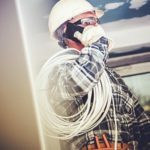 In fact, a new report from Juniper Research forecasts that by 2018, more than one billion employee-owned devices will be used in enterprises. 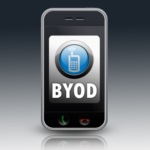 A trend this big means that organizations have to take BYOD seriously. To put this BYOD projection into perspective, that many devices will account for almost 35% of all tablets and smartphones in use. With more than one third of mobile devices in use projected to contain valuable information from businesses, there’s no doubt that hackers and thieves will follow this trend and focus more of their attention on mobile devices, which is actually something hackers have been doing steadily over the past few years. 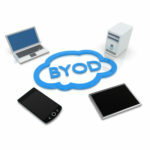 The growth of BYOD and its projected dominance of the future present a challenge to IT professionals. Unlike an in-house network that can have its security easily managed, mobile devices that access a company’s network present security risks that are hard to completely control, and these risks grow with the addition of every mobile device. It’s no wonder that Juniper also predicted that over half of all mobile devices in the US will have security apps installed on them by 2018. New network security scenarios presented by BYOD are proving to be quite the challenge for businesses that lean on in-house IT technicians. This was found to be the case in a recent survey of IT professionals by Ponemon Institute. According to this survey, mobile security will be one of the biggest issues in the IT industry for years to come. 71% of respondents say endpoint security threats have become more difficult to stop or mitigate in the past two years. This trend can be directly attributed to the proliferation of mobile devices in the workplace, and subsequently, the increased attention given to mobile devices by hackers. Basically, more devices around the office translate to more points a hacker can use to infiltrate a company’s network. 68% say their mobile devices have been targeted by malware in the past year. This statistic will surely rise as hackers target mobile devices associated with businesses even more; and it may actually be higher than 68% because this figure only applies to cases of known malware attacks. 41% say their enterprise has 50 or more malware attacks a month. This averages to multiple malware attacks every day. Arming your staff with a fleet of mobile devices will dramatically increase the amount of attacks on your company’s IT infrastructure. 39% of respondents list advanced persistent threats as one of their most concerning security risks. Hackers are stepping up their game on all fronts and those in charge of overseeing a company’s network security are feeling the pressure. When it comes to IT security, the more precautions you have in place, and the more help you have, the better they will protect your company and help to relieve all the stressful situations that come from the barrage of increasing malware attacks. Having workers use their own devices for work increases the security risks for your business. However, an increased level of risk shouldn’t deter you from enjoying the benefits of BYOD. Studies have shown that both employee satisfaction and productivity are improved with the allowance for BYOD. Therefore, as is the case with any major business decision, you have to determine if the benefits outweigh the risks. 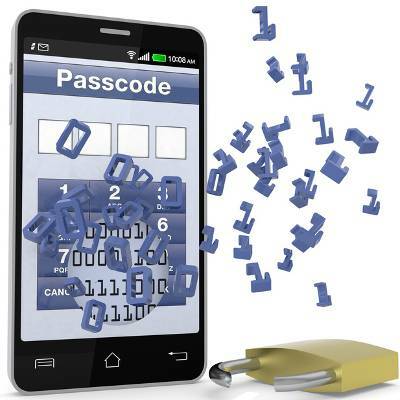 Quikteks is here to help your business go mobile and implement the best security tools you need for BYOD. This includes assessing your mobile needs and reviewing your options. For example, it may be less risky for your business to provide employees with mobile devices that can be managed, instead of allowing them to use their personal devices. You can also take advantage of hosted data solutions so that sensitive information is not stored on random devices, thus reducing the risk from a data breach due to a lost or stolen device. Are you thinking about implementing BYOD for your business, or are you looking for a strong mobile security management solution? If so, give us a call at PHONENUMBER to learn more and make technology work for you! What Is ‘Mobile Device Management’?